Unpublished sample piece for Venue. Crown Matrimonial, Theatre Royal Bath. With its opulent decoration, static presentation, and painfully deferential attitude, Crown Matrimonial has all the theatrical power of an evening spent staring at a commemorative plate. Midway through the second act, six weeks into the 1936 abdication crisis dramatised in the play, during yet another clipped discussion of love-versus-duty, Patricia Routledge as Queen Mary cries, “Will it never end?”. Audiences might feel a rare stab of sympathy with her as the play shuffles circuitously to its well-known conclusion. It’s not the cast’s fault – Routledge hits the note of restrained matriarchal power throughout, and receives perky support from sundry royals and household characters. But despite portraying the queen as a woman with love for her children as well as devotion to the monarchy, there is no suggestion that she feels anything as interesting as anguish or even mild conflict when her maternal feelings clash with her regal ones. Positions are entrenched from the outset, and two hours of bickering on a sofa does nothing to make the royal family seem important or endearing. 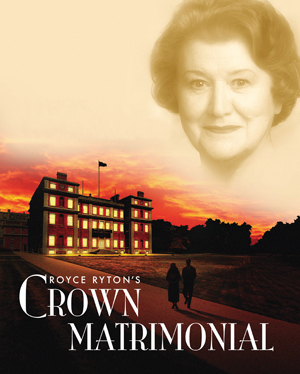 CROWN MATRIMONIAL, THEATRE ROYAL BATH, MON 16 JUN-SAT 21 JUN. Next > Theatre Review: Trade It?